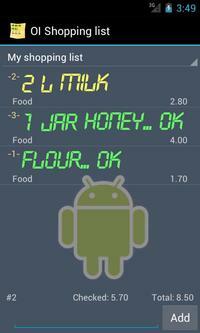 OI Shopping List is a powerful application which makes it easy to create and manage checklists. 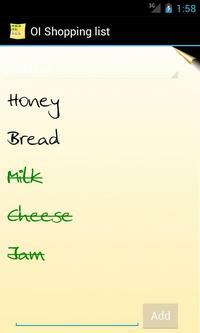 OI Shopping List makes it easy to add items to a list, check the item off, and remove it from the list. 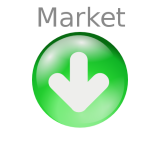 The application can track separate prices for each store that you use, and features a high level of customization. Font size, sort order, list columns, and list cleanup behavior are all settings controlled by the user. All of these features are brought together in a crisp layout that is customizable through a variety of themes. * Add, edit and delete lists. * Create, delete, and check items quickly and easily. * Customizable font size and sort order. * Keep track of separate prices for each store.